It's no secret I'm a fan of snacking. Just check out here, here, and here if you don't believe me. So when Wicked Cool Nuts approached me to try some of their treats I was completely on board. Although they carry the ever popular kale chip (maple pepper kale chip to be exact), it was their tomato chips that I couldn't wait to get my hands on. Whether it be in soups, salads, pastas, or sandwiches tomatoes are one of my all time favorite foods to eat and cook with. They're extremely versatile and bring such a bright, fresh taste to every meal, so I was curious what they would taste like dehydrated as chips. LA times recently wrote an article about the trend of dehydrating treats among chefs in their restaurants. 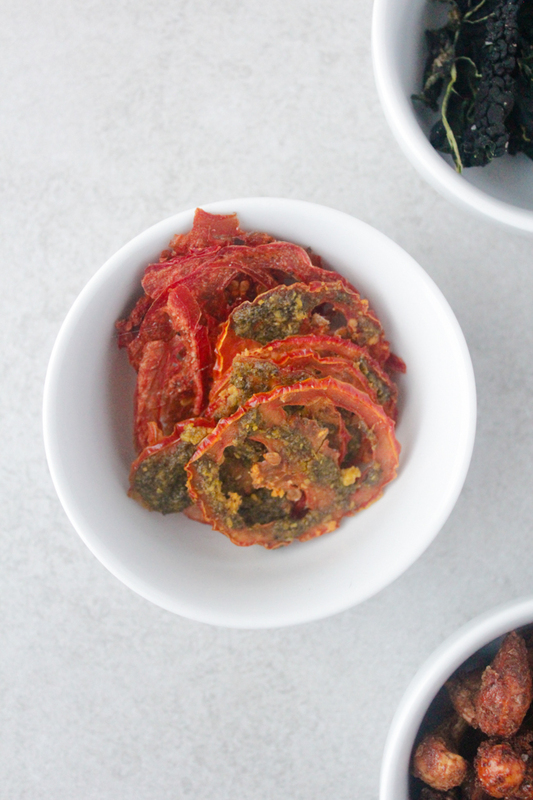 The decidedly unsexy dehydrator is becoming a kitchen counter staple right next to the coveted Vitamix blender and Magimix food processor, and after trying these Pesto Tomato chips from Wicked Cool Nuts I couldn't be a bigger proponent of the new trend. These thin, delicate tomato slices were covered in just the right amount of pesto that was reminiscent of an Italian pasta dish or slice of bruschetta, while still being a light and healthy snack. The best part about all the treats I tried from Wicked Cool Nuts was that they tasted completely homemade with high quality ingredients. It seriously was like they were just dropped off by a friend or family member (who really knows their way around the kitchen). 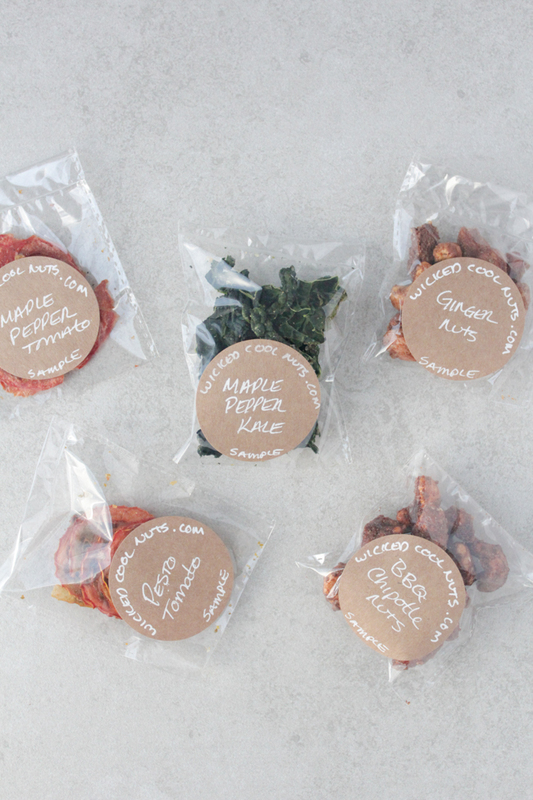 Move over kale chips, tomato chips are here. That pesto tomato looks so delicious!!! Need to try these! This looks so good! I must try it.